Added on 27 November 2018 . By Anisah Audu. More and more people are ditching meat for a more plant-based lifestyle, but what happens when you're a carnivore who has veggie friends? Luckily for you, we've rounded up the best restaurants that cater to all types of diets. From laid-back pasta spots to Indian eateries and fancy settings for those times when you're looking to impress, we've picked London's best restaurants for every occasion. So whether you're dining with a pescetarian, flexitarian, or someone in between, this guide's for you. 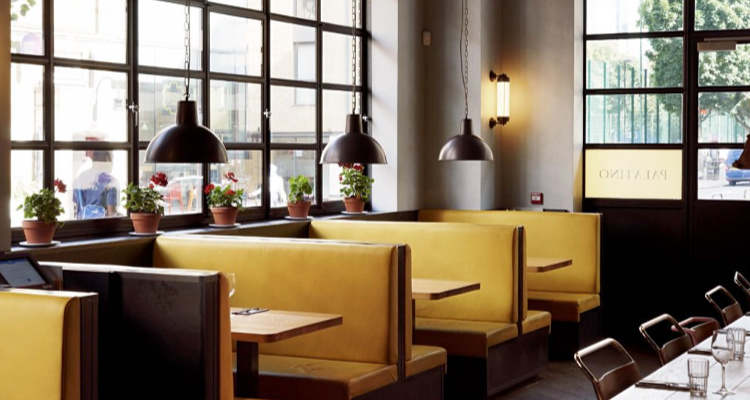 From Kings Cross to Bankside and beyond, Caravan is shaking things up with their impressive roasted coffee and all day dining menu. Whether it’s fried jalapeño cornbread (£9.50) for brunch or spiced cauliflower with harissa and pomegranate yoghurt (£7.50) at dinnertime, you’re bound to find something to hit the spot. But if that’s not quite doing it, then crispy pork belly (£8.50) and sea bass and cod dumplings (£8) should do the trick. 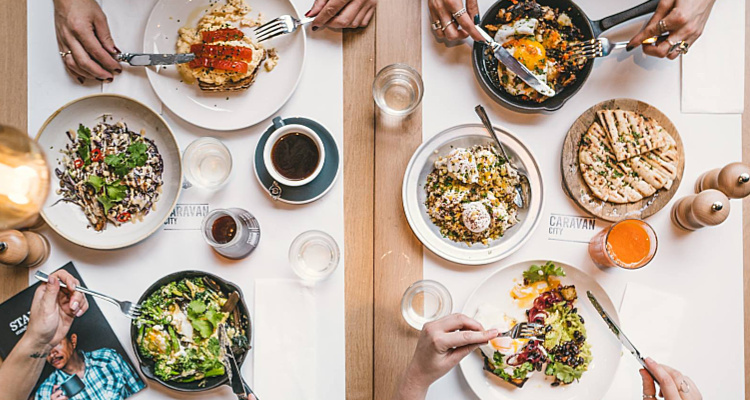 Whether you fancy brunch, sharing plates or pizza, head to Caravan. When renowned chef James Cochran upped sticks from the City and opened 1251 in Islington, we knew it would be something special. With dishes including buttermilk jerk chicken with scotch bonnet jam (£7.50) and melt-in-the-mouth short rib with truffle and bone marrow (£24) sitting alongside roasted cauliflower with fermented bagna cauda (£4.50) and heritage carrots with goats cheese custard and granola (£9), this Angel restaurant isn't what you're used to. Sit back and relax as you inhale Michelin-worthy fare. If you’ve ever queued for a seat at Padella then you’ll need no explanation as to why this gem has made the cut. 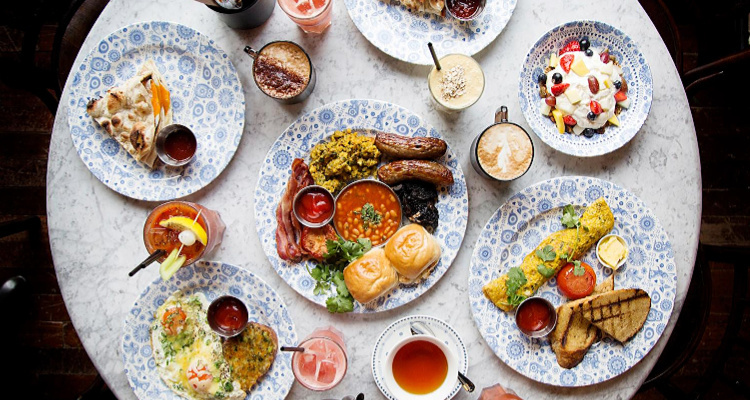 Not only is the Borough Market restaurant the perfect place for cheap eats, but they serve all sorts of veggie-friendly dishes that meat eaters will absolutely love. 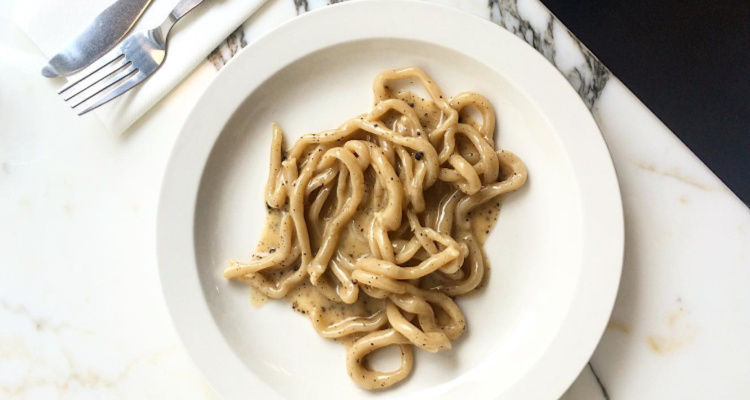 Think gnocchi with nutmeg butter (£4) and a buttery pici cacao e pepe (£6.50). Our favourite is the pappardelle with 8-hour beef shin ragu (£9.50); infamous for all the right reasons. You can even wash it all down with cocktails for a fiver and beers from as little as £3.50. 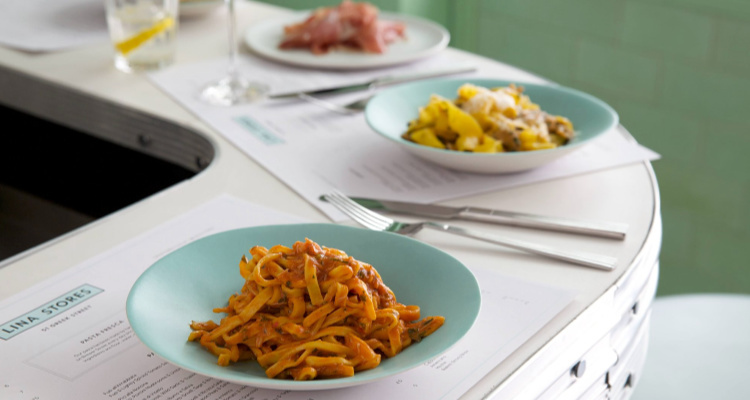 Could this be London's best pasta? We'll let you decide. 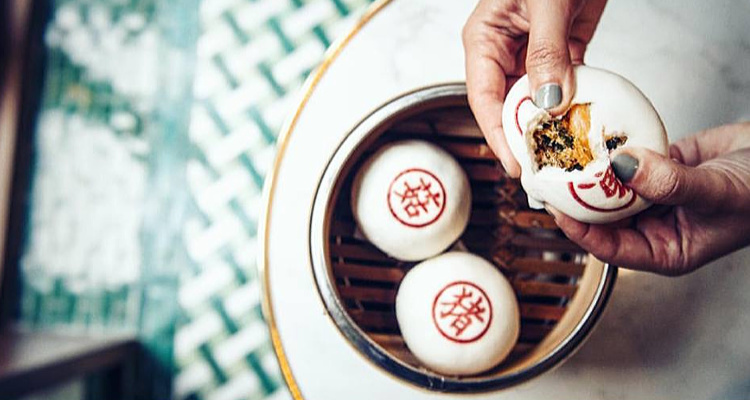 With a range of fluffy buns setting you back only £2.50 each, Bun House is one of the best spots for bao in London. Pair with a daikon pickle pot (£2.80) and finish off with a custard bun and you won’t be disappointed. If that’s not enough, then the Tea Room below features an extended menu and plenty of options taking you from morning to night. Small but mighty; this bao packs a punch. If you’ve yet to dine at one of Stevie Parle’s acclaimed restaurants, then Palatino is a fine place to start. Book a table for everything from cosy catch-ups with friends to special occasions with the family. The menu features gems like porcini and ricotta ravioli (£9) alongside roasted squash, girolles, greens and toast (£18). There’s even staple dishes for those looking for something a little less green… like goose leg with cotechino sausage (£27). Roman influences infiltrate everything from the industrial chic interior to authentic dishes and Italian wines. Soho’s iconic delicatessen recently launched a standalone restaurant and it’s got a menu so tasty that you can easily side-step the meat. 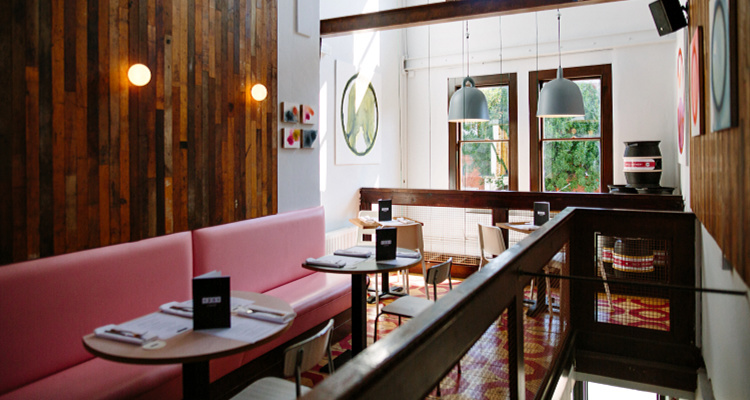 Interiors are bright and airy, pasta is handmade daily and everything is oh-so-Italian. Kick things off with the oozy gorgonzola in pear and mustard chutney (£5) before moving onto burrata-filled ravioli topped with tomato, toasted pine nuts and basil (£6.50). Just be sure to save room for the legendary cannoli with ricotta and pistachio (£5). When the veg is so good that you don't even think about meatier options. 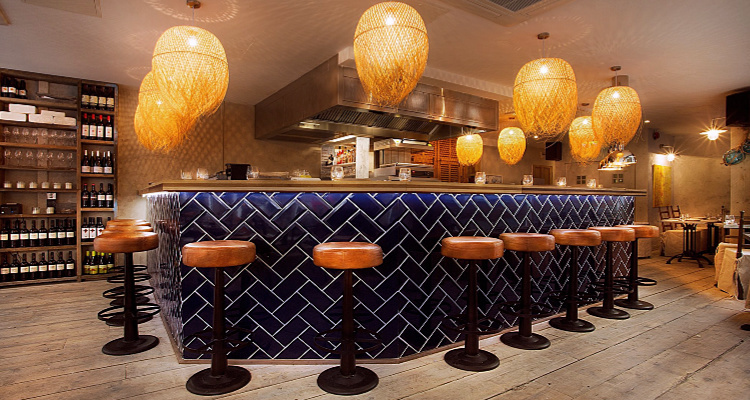 With 5 locations in London, Dishoom has been slowly taking over the Indian food scene. Of course, the bacon and egg naan (£7.20) and spicy lamb chops (£4.30 each) are big hitters, but we all know that it’s the meat-free house black daal (£6.20) that really steals the show. Cooked over 24 hours, the flavours pair perfectly with a garlic naan (£3.20) or two. One of the few Indian restaurants cooking up a storm from breakfast to dinner. 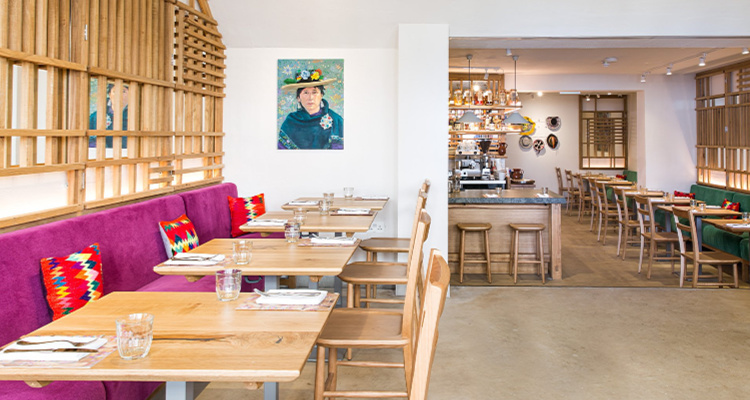 Following on from the success of Ceviche and Andina Shoreditch, this Notting Hill eatery draws inspiration from the ancient cooking of the Peruvian Andes. Expect relaxed vibes in the restaurant and a charming bakery next door. Veggies can fill up on artichoke ceviche (£6.50) and pumpkin and squash with olluco, broad beans and brown rice (£12) while meat-eaters can dig into meatballs on sourdough (£9) and rib eye steak with chips and seco gravy (£23). Get familiar with Peruvian street food at this west London hangout. 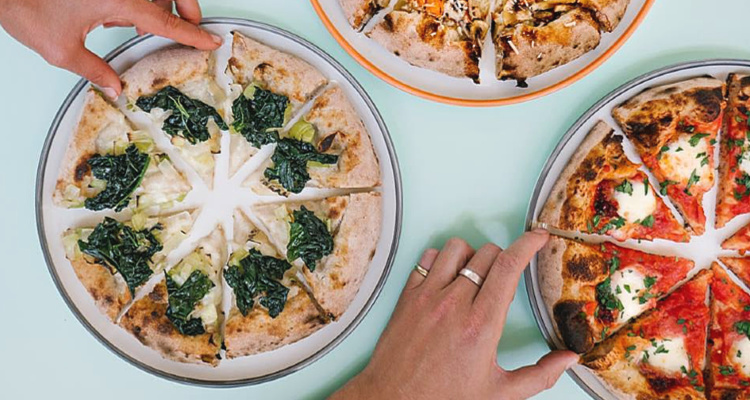 With a huge range of finger-lickin’ pizzas on the menu, a meal at Radio Alice will satisfy the hungriest of veggies and carnivores. Tuck into freshly prepared sourdough topped with butternut squash, mushroom, mozzarella and Parmigiano (£10) or go for something heartier, like the prosciutto with burrata, mozzarella and orange oil (£12). Not your average pizza, sourdough is made from scratch every day. Bringing a taste of modern Catalan cooking to the West End, Rambla is the newest spot from the team behind Encant and Sibarita. It may be known for its delectable braised oxtail canelones (£8) and prawn-stuffed courgette flowers (£7), but the veggie dishes are just as mouthwatering. You'll love the spinach croquetas with roasted pine nuts (£6) and patatas bravas (£6) with mojo picon and aioli whipped to order. If the interior doesn't blow you away, then a stellar mix of veg, fish and meat should do it. For more veggie inspiration, check out our guide to the best vegetarian-friendly restaurants in London.